24 oz. 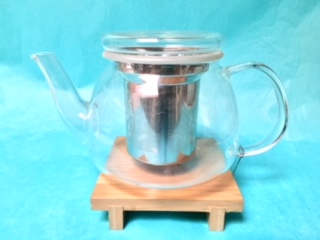 Glass teapot with stainless steel infusion basket with protective rim and glass lid. 7 1/2" width and 4 1/4" height.